While you're away, let them stay at home - where they feel most comfortable! 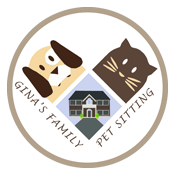 Please specify if you need any additional pet services upon booking. Extra charges may apply. Ready to book? Start your account here.